A gas station built in the early 1930’s that stored fuel for Boeing during the Second World War is now being turned into a public park. Seattle-based art collective SuttonBeresCuller began leasing the property in 2008. After four years of environmental assessments and strategic planning it made an offer to purchase the property with the support of the Georgetown Community Council that was accepted in December 2012. Located a stone’s throw away from the famous Oxbow Hat and Boots park, the Mini Mart gas station at 6525 Ellis Ave South has been sitting idle for years. 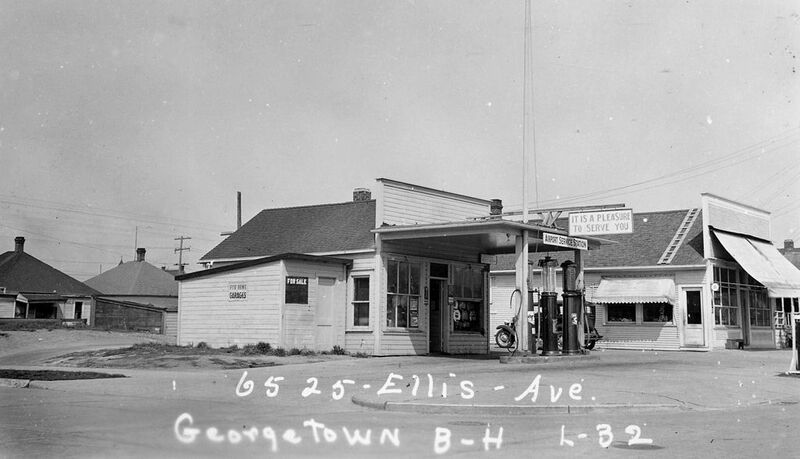 The gas station was family owned until the 1970s when the Arab Oil Embargo put them out of business. It was converted into a dry cleaners and then intermittently occupied until eight years ago when the space became vacant. SuttonBeresCuller is named after John Sutton, Ben Beres and Zac Culler, three artists who have worked collaboratively since 1999, when they met as students at Cornish College of the Arts. To raise funding from the community for the Mini Mart Park, SBC has been selling cans of dirt from the site for $25 a pop. So far they’ve sold about 500 cans, Curbed Seattle reports. The project has also received $100,000 from the city’s Neighborhood Matching Funds program and $200,000 from King County program 4Culture. Other grants have come from the Seattle Foundation, Georgetown Community Council, Allied Arts, and other neighborhood, culture, and environmental groups, reports Curbed. 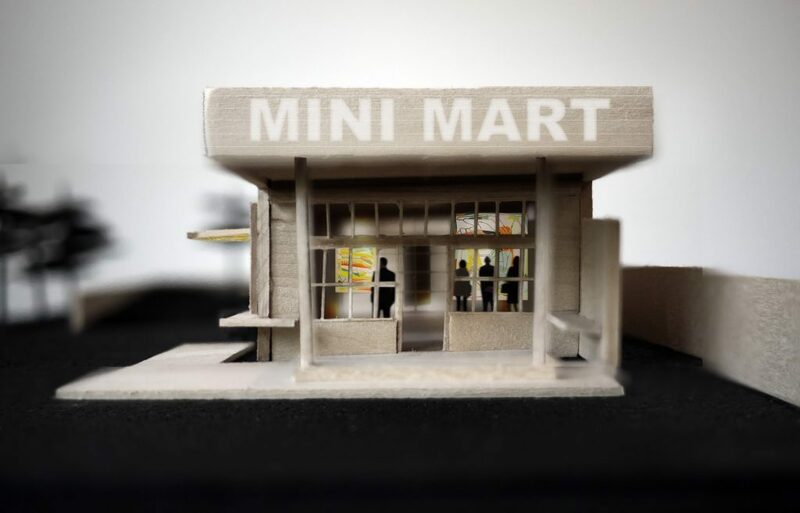 The inside of the renovated Mini Mart will serve as a community center with arts-oriented exhibitions. If the current timeline stays on track, the new park will open in summer of 2018.